Fire-polished beads have been used in jewelry making for centuries. The Prague collection features genuine "fire-polished" faceted beads from the Czech Republic. After being faceted with a grinding wheel, imperfections are "polished" out of the beads through the use of heat - hence the name "fire-polished." 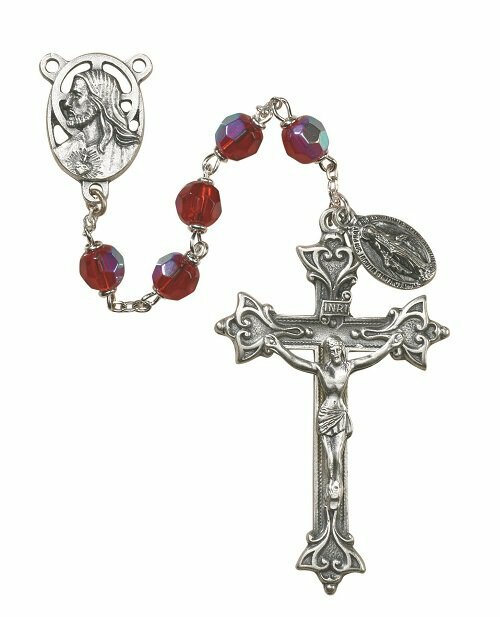 Each of our Prague rosaries are assembled with a Heritage Italian-made silver oxidized crucifix, Sacred Heart centerpiece and Miraculous Medal dangle. All are constructed with loc-link wiring for added durability. All Creed® rosaries are presented in a signature black leatherette gift box.